Home News Xbox One Avatars Finally Arrive! Xbox One Avatars Finally Arrive! "For now only avalible for Insiders"
The much delayed but always overly enthused Xbox Avatars have finally today made their long awaited return during the latest console update that went out to Xbox Insiders earlier. The update that has been teased for so long and has seemingly been hit with a few last minute hiccups in the past few months, is now ready people to tinker with and now customized with all new options and abilities. 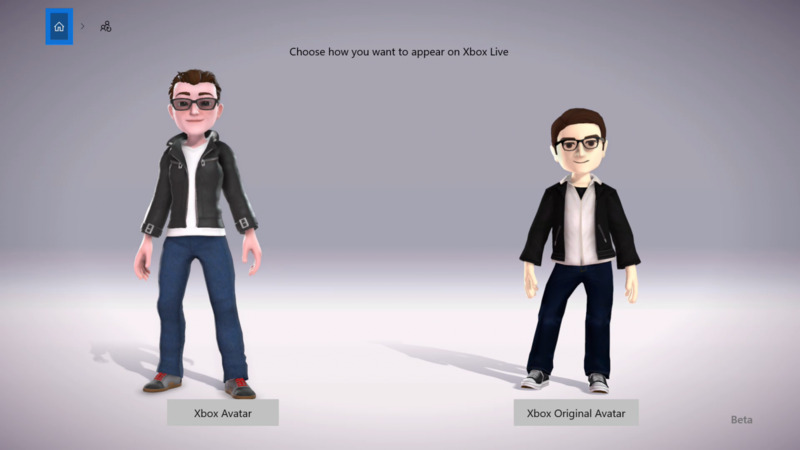 You can also see first hand how your new Xbox One avatar stands up compared to the 360 counterpart as well as being given the option to choose between which one you want to represent you on your console. The avatars themselves do look very slick however and you can easily see when they stand side by side with each other, the extra amount of care and detail that has gone into creating them, not only that but updating each of the individual clothing sets for a new generation must also have taken some time as each look extremely well detailed. Saying that not everything is currently ready to go and this also means that as of now you can only use them within the Avatar Editor app and you cannot display them within your dashboard until a future update comes along. But hey this is better than nothing right? When things fully get unleashed within the coming weeks and months, you can expect to see thousand of different clothing items as well as all new body types for every single person out their to suit their own personal preferences and not be lumbered down with what Microsoft thinks all their gamers want to look like. Microsoft have said that their will be 16 million different colour options to choose from too, meaning no hairstyle or clothing item will be the same as your friends and whats more is that Avatars will still be allowed to be used when taking your own custom gamer pictures. So are you as pumped for this as we are. be sure to let us know below.